Imagine if someone you love needed a blood type that was missing from hospital shelves. Help the American Red Cross meet the urgent need for blood (approximately 13,000 blood donations each day) by participating in a blood drive at USI on Monday, April 15 in UC East Rooms 2218-2220 sponsored by the Hispanic Student Union and Delta Zeta. The blood drive is open to all donors from 10 a.m. to 6 p.m. Appointments can be scheduled online (sponsor code USI EAGLES). Know someone who has never donated before? Please encourage them to make an appointment with you. Without more donors, patients will not have the blood they need. RAPID PASS: Save time by using RapidPass® to complete your pre-donation reading and health history online before you come to your appointment. Get started at RedCrossBlood.org/RapidPass or by using the Blood Donor App, available through the App Store, Google Play or by texting BLOODAPP to 90999. QUESTIONS? 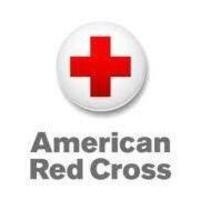 For detailed donor eligibility questions, please call 1-800-RED CROSS (1-800-733-2767) or visit RedCrossBlood.org.